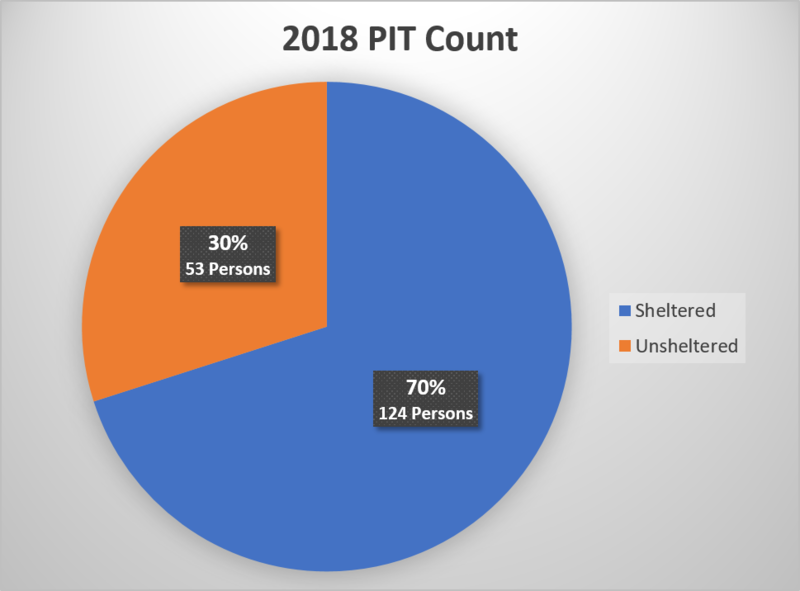 As part of Central Louisiana’s Homelessness Continuum of Care, CLHC orchestrated our community’s annual Point in Time (PIT) Count on the night of January 22, 2018. The PIT is a count of sheltered and unsheltered homeless persons on a single night in January. Throughout that week, our community’s Street Outreach programs hit the streets of Central Louisiana to find and count those sleeping on the streets, in abandoned houses, and other places not meant for human habitation. Our Emergency Shelter and Transitional Housing programs also kept count of the number of persons they served on that night. Not only is the PIT Count vital to know where we stand in our efforts to end homelessness, it is also an opportune moment to provide much needed resources to those on the streets and foster crucial relationships between the homeless and homelessness case managers.